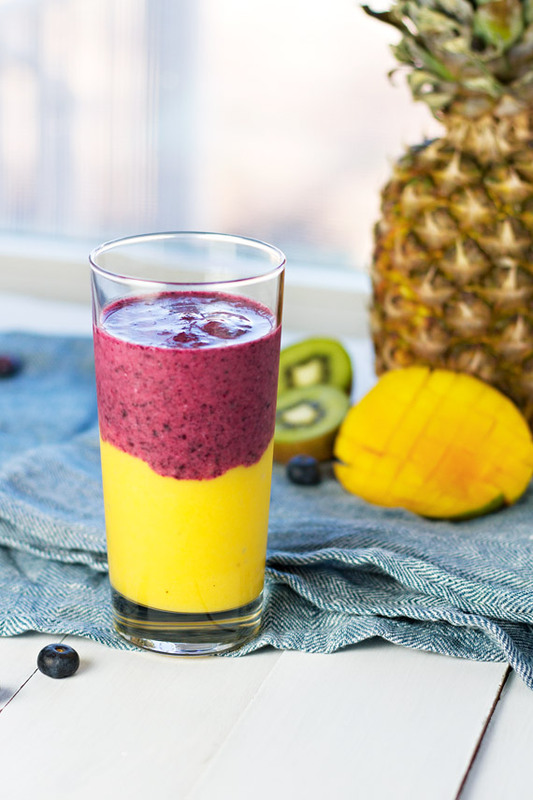 A fruity and delicious tropical breakfast smoothie that’s sure to give you a summery glow. It’s packed with pineapple, mango, coconut and is super cool and refreshing. Better yet it takes only 5 minutes to whip up so it makes breakfast time a breeze! I’m so ready for spring, you guys! Are you? I’m at that point where I’m basically trying to FORCE spring into my life, even if it hasn’t happened on its own yet. I’m dreaming of the warm sun, fun vacations, the beach, beautiful spring dresses, flowers, and warm weather! And since that hasn’t technically happened yet, I’ve put all of those things into this Tropical Breakfast Smoothie! Is it Healthy to have a Smoothie for Breakfast? The short answer, yes. Smoothies can be a really healthy way to start your day you just need to make sure you have enough variation and not too much sugar. 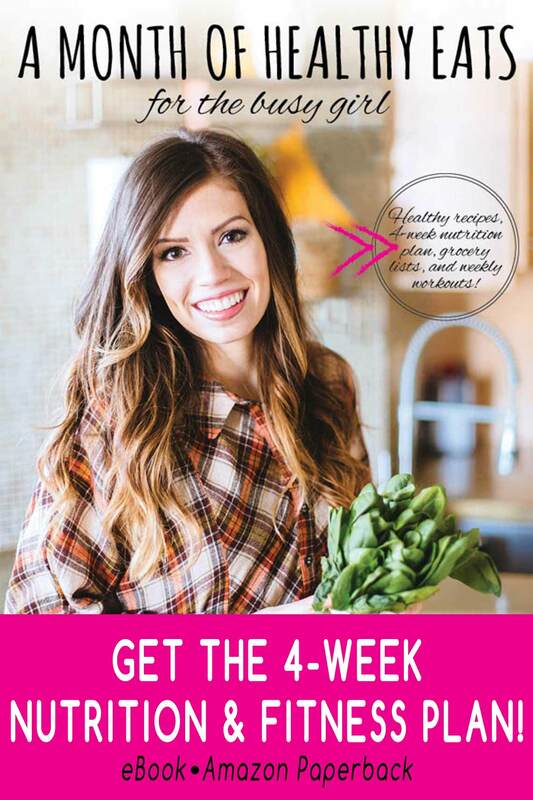 For example try adding in some greens such as spinach, protein powder, nuts or seeds every now an then. Smoothies are incredibly simple to make, just place all the ingredients in a blender and blitz until smooth. Serve in glasses and enjoy! To make this breakfast smoothie look a little fancy and extra summery simply blend all the yellow fruits first followed by the berries and pour one on top of the other in glasses. 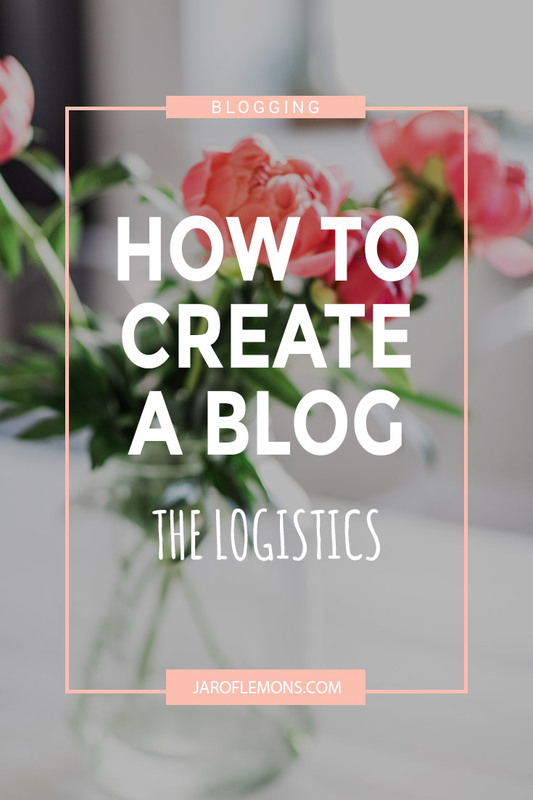 Told ya, much simpler than it looks, right? Smoothies are so versatile so you can add in different fruits according to your preference or what you have in your kitchen. Here is a list of fruits that I’ve divided into categories so you can still keep the pretty design. To all of these, you can add juices and milk such as coconut milk, almond or other nut milks or even regular milk and yogurt. Frozen fruits help give a cool, thick and ice cream like texture to smoothies so try use frozen when you can otherwise the texture will be more like juice. 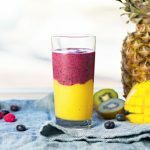 You MUST try this Tropical Breakfast Smoothie! One sip, and you’re on the beach drinking a fruity drink and getting a nice sun glow. 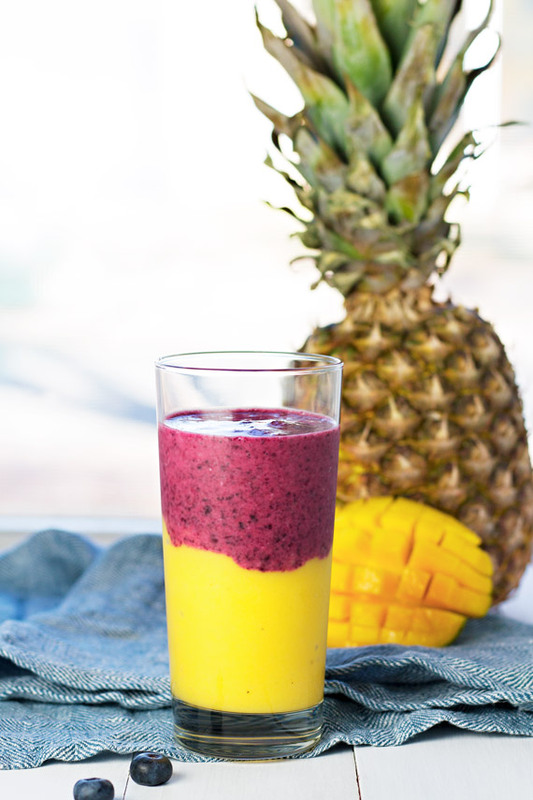 Grab some tropical fruit, your blender, put on a sun dress, and make this smoothie! 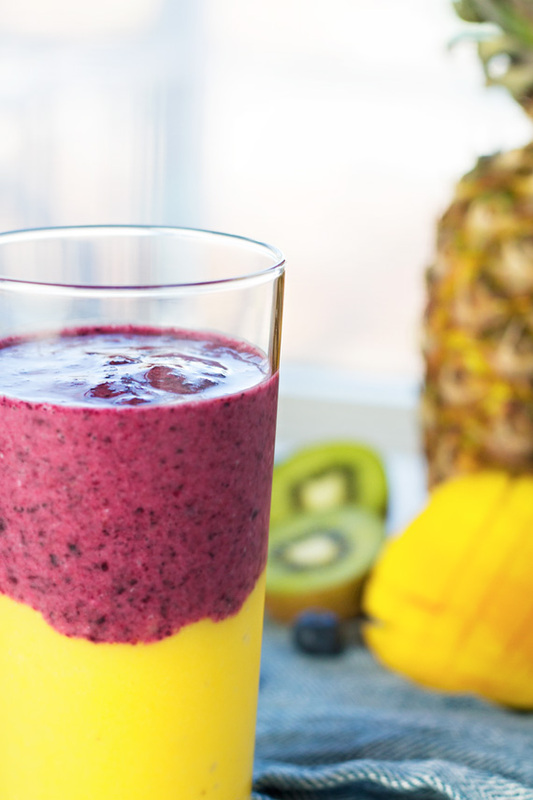 A fruity and delicious tropical breakfast smoothie that's sure to give you a summery glow. It's packed with pineapple, mango, coconut and is super cool and refreshing. 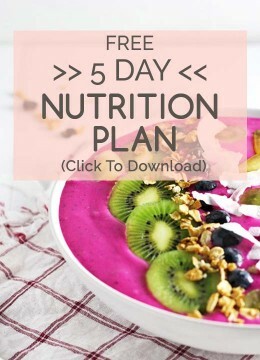 Better yet it takes only 5 minutes to whip up so it makes breakfast time a breeze! In a blender, combine all of the ingredients. If you want separate colors as shown in the above photos, simply combine the first 3 ingredients and pour into a glass, then combine the last 3 ingredients and pour on top of the first smoothie. What are your favorite ways to welcome spring? 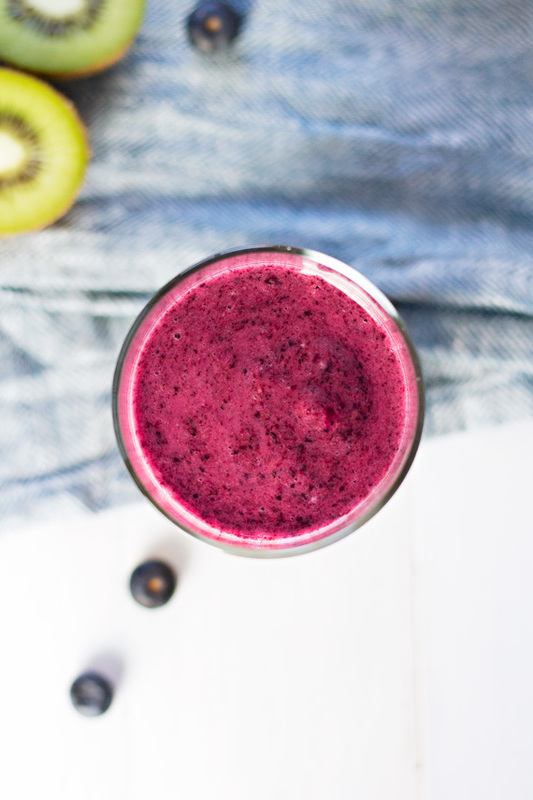 Love the sound of this smoothie and I love the different colour, trying this next time! The colors alone make me want to have this! This is so freakin pretty! I’ve been trying to incorporate more smoothies for breakfast, and I love how you stacked the flavors! Gotta try soon!